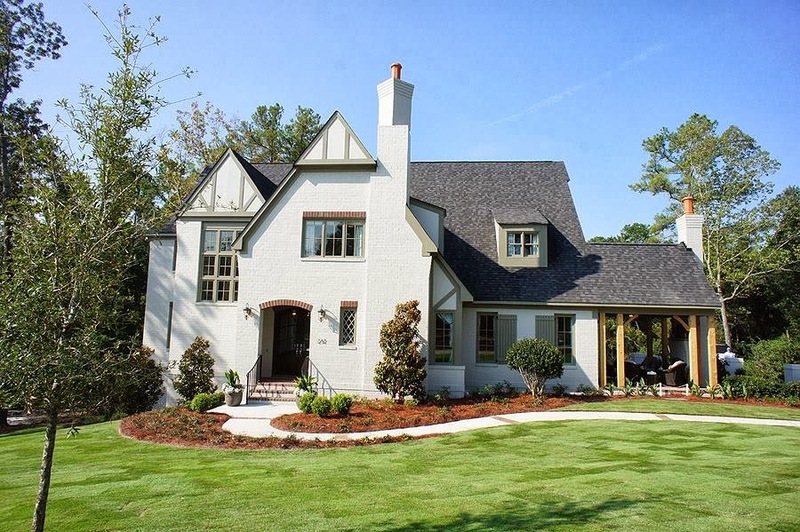 Chad and I have attended the Parade of Homes in Columbia for as long as I can remember. It's always sort of been "our thing" and something we both enjoy! I remember going long before we got married, long before we built our house, and long before we even thought about starting a family. We'd talk about our likes and dislikes of each house and dream about one day being able to build our own. The Parade took a little hiatus a few years ago due to the struggling economy.....right about the time we started the process of applying for a construction loan and at the EXACT time I needed construction and layout ideas. Back then Pinterest didn't exist!! I hoped that one day we would be able to build, so I always brought along my camera. Thank goodness I did because some of those pictures I had taken of previous POHs were handed to my builder for his subcontractors. Our mantle is actually an exact copy of one we saw at the parade a few years ago. 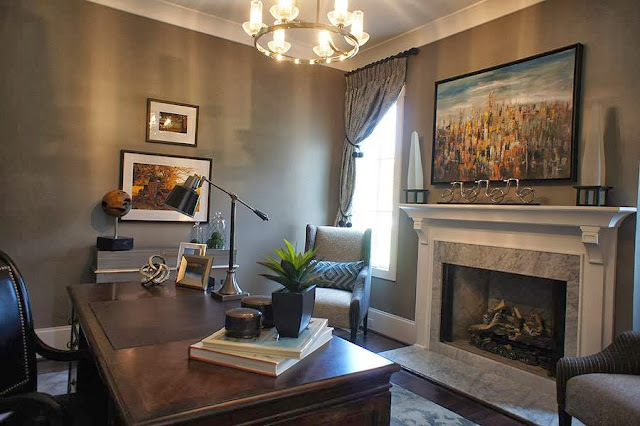 One of the reasons we chose a house plan with a second story main floor was because we saw a similar layout at the Parade of Homes and we both fell in love with it. Fast forward quite a few years later with a 3 year old in a house with LOTS of stairs, bedrooms that seem on the other end of the earth from eachother and a master bedroom and bath that definitely could have used some extra square footage......I might have thought better of it. BUT, I can't complain. I LOVE our house, but if you know me....you know I'd give my eye teeth to one day be able to build again! This is when I realize how much I dropped the ball on the design of our bathroom. I should have somehow made SURE we had both a shower and a full tub. 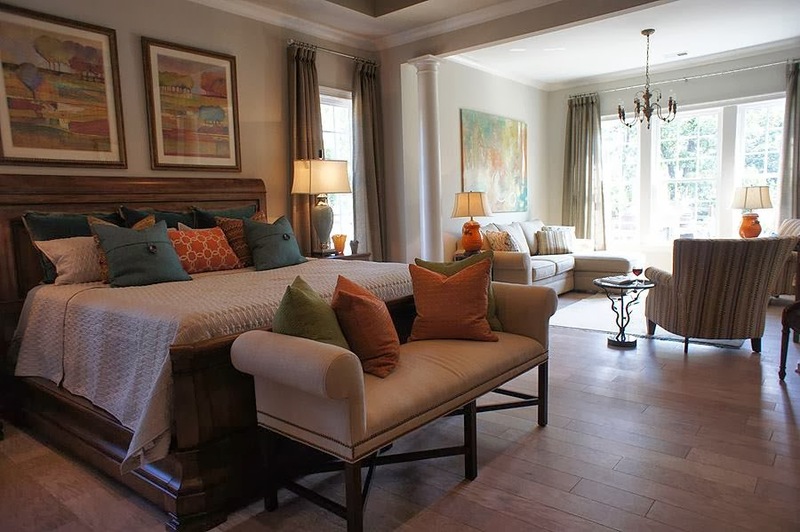 Love the sitting area attached to the master and plenty of room at the foot of the bed for a bench. Here's something that we both thought was pretty clever. It's a small office right off the kitchen. 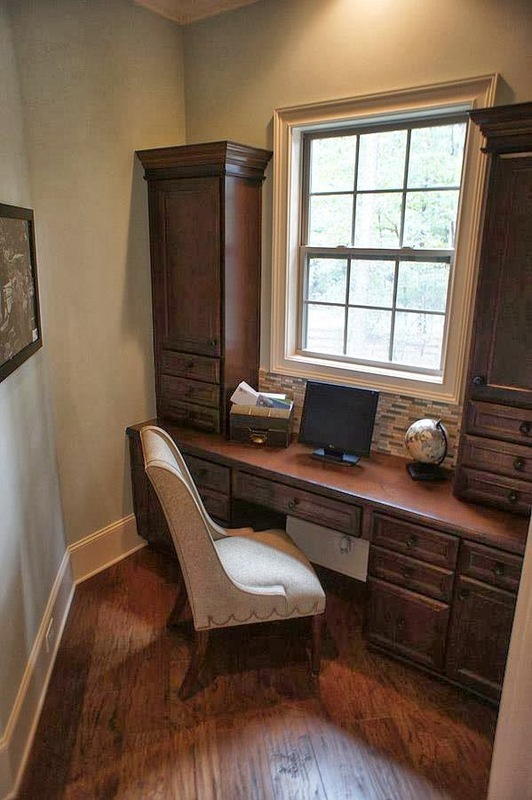 Not huge, but just big enough for a workspace for paying bills, etc. I loved the concept of having a workspace near the kitchen, which is why we built in the desk. But, in all reality, it is basically used as a catchall for paperwork and mail! I'm sure the maintenance on this terrace/patio/yard is a major pain in the arse, but I love it! Every home should have one of these built in. End of story. 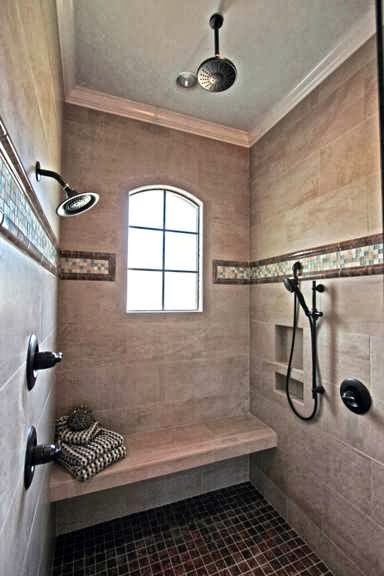 We have a large tiled shower with a bench built in and we even have nook for toiletries like this one. 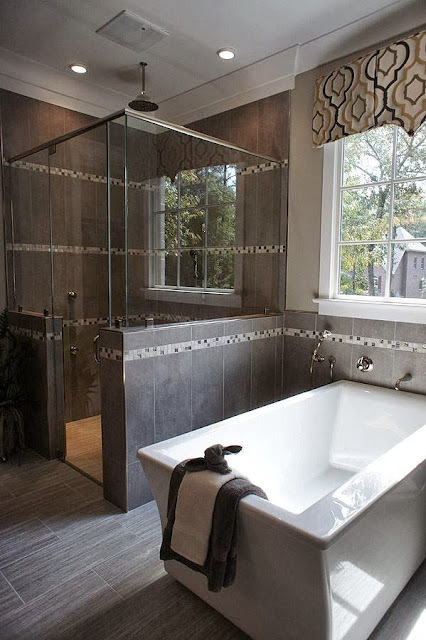 However, we should have made sure we installed 2 shower heads as well. Having one that is detachable helps majorly when cleaning!! 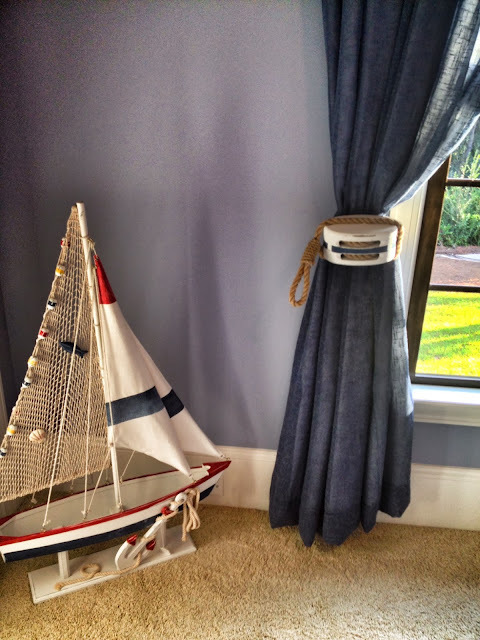 Cute details in a boys' nautical themed room. There are about a thousand things going on with that tablescape, but I loved the neutrals. 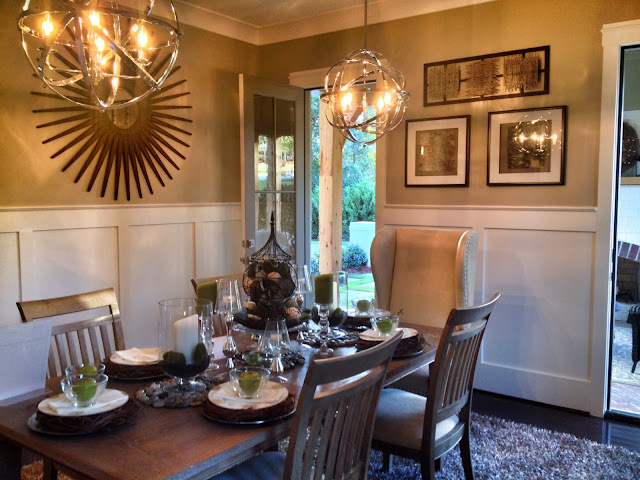 Love the fun pendants, the upholstered chairs at the head of the table and the high moulding. 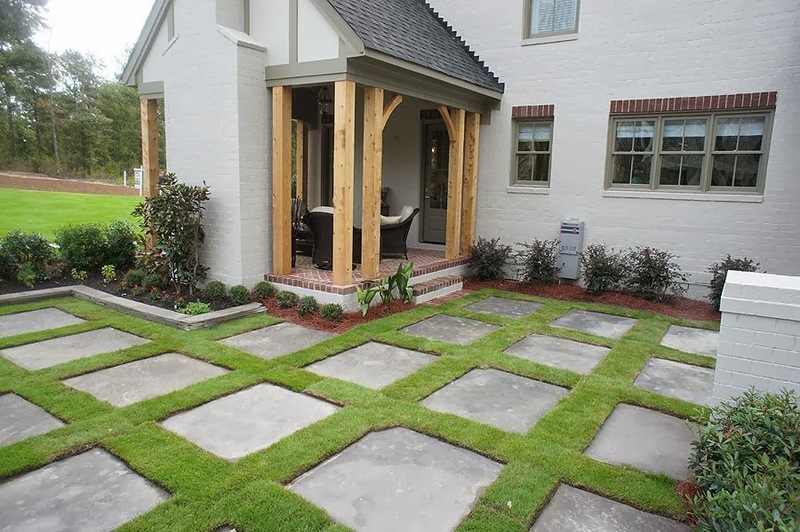 Those two open doors opened up to a precious side patio with outdoor fireplace. How great after a dinner party to just take a few steps and you're drinking a glass of wine al fresco. middle of the wall, but the two smaller doors give it so much character. I love the feel of an indoor space.....outside. 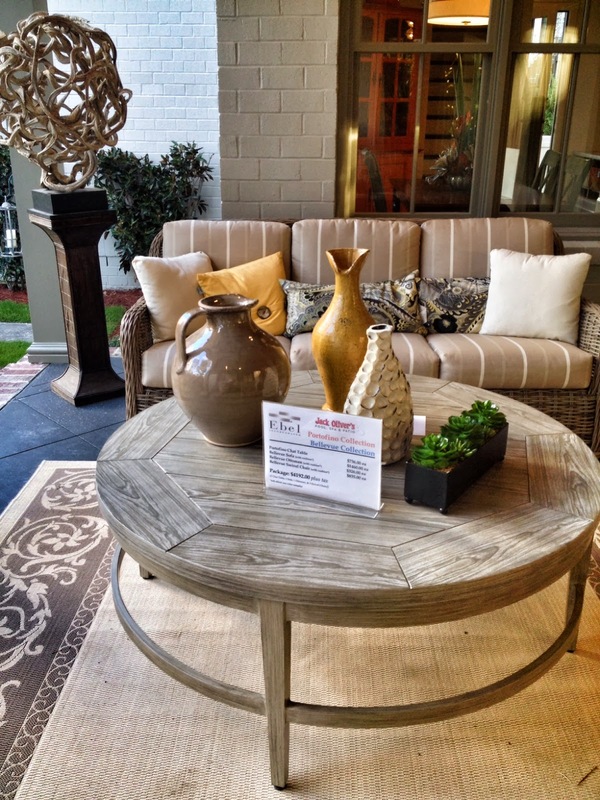 This table would look just as fab inside as it does out, and I love the collection of vases as a centerpiece instead of something you'd expect on a patio like a potted plant or lantern. 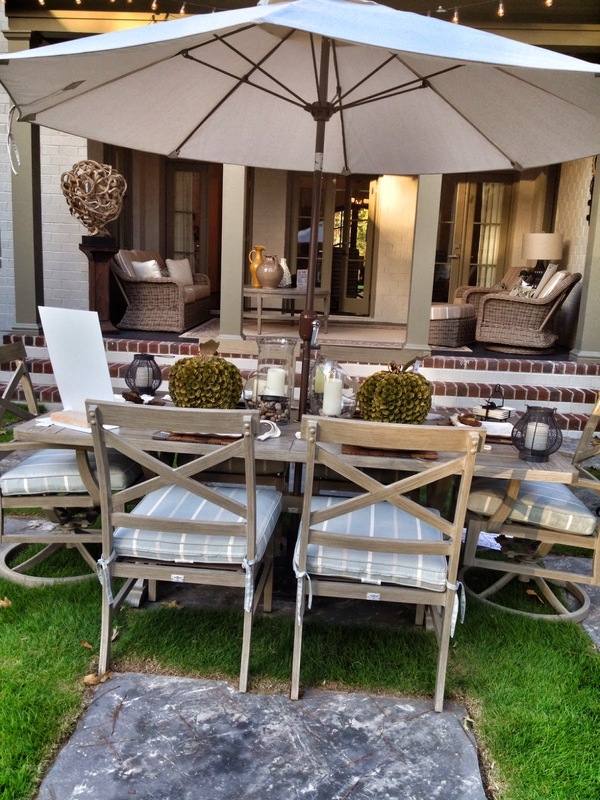 A few steps down and your'e dining outdoors. Ok, so now that I'm ready to build again, maybe I'll win the lottery!